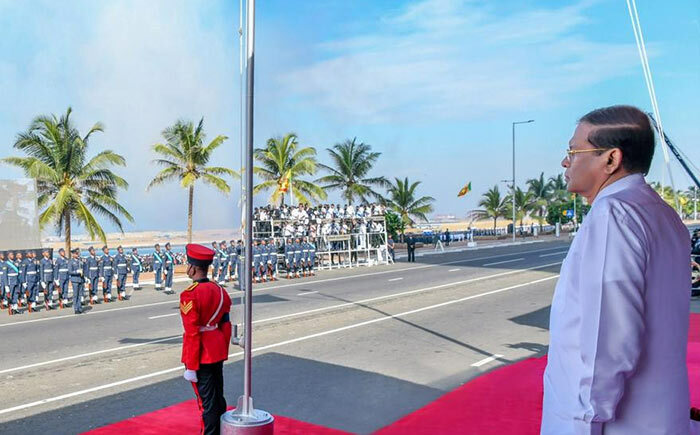 The commemoration of the 71st National Day of Sri Lanka has commenced ceremoniously at the Galle Face Green.The celebrations were commenced under the patronage of President Maithripala Sirisena and Prime Minister Ranil Wickremesinghe welcomed the President to the event. 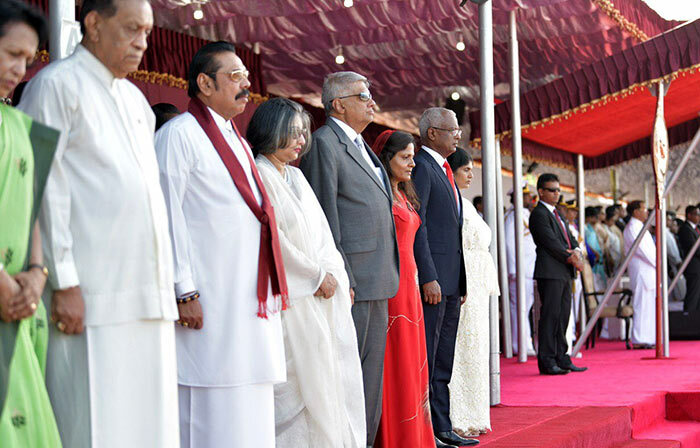 Maldivian President Ibrahim Mohamed Solih and his wife have attended as the Guest of Honor at this year’s National Day celebrations.Opposition Leader Mahinda Rajapaksa, Speaker Karu Jayasuriya, and many other parliamentarians and diplomats have attended the event. Ah! High commander of Sri Lankan armed forces, Previously commanding buffaloes from pady field to pady fields wearing a ” amudey”. This is what independence did to us. Grate! Bro Ranjith,Yes see the big picture. Suda created Kalu-sudda. Sudda expected Kalu Sudda to fill the gap when BREXIT took place in after giving Dominion status to Ceylon. in 1948. Now Ranil pulling the shots and Amuuda Sinhalaya carrying out the tasks.